A task force has been formed to guide a pilot training program for agribusiness jobs in Ypsilanti, including support for entrepreneurs in food-related businesses. The Washtenaw County board of commissioners voted to create the task force at its Nov. 2, 2011 meeting, but none of the 17 members to the entity have been identified. What’s Your Federal Stimulus Good For? Washtenaw County Board of Commissioners working session (April 8, 2010): Two presentations at Thursday’s working session were tied to the community’s health: how federal stimulus dollars are being spent, and how former prisoners are being helped, with the goal of reducing repeat offenses. 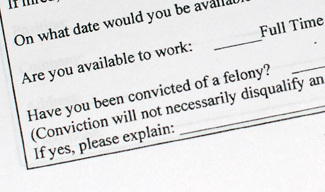 Washtenaw County employment applications ask about felony convictions. Mary King, coordinator of the Michigan Prisoner ReEntry Initiative of Washtenaw County, told commissioners how the MPRI is attempting to reduce the county’s high prisoner recidivism rate – a problem dating back several years. She also urged them to consider eliminating a question on the county’s employment forms that asks about an applicant’s felony history. Such questions can be barriers to employment, she said, and the biggest cause of parole failure is lack of a job. 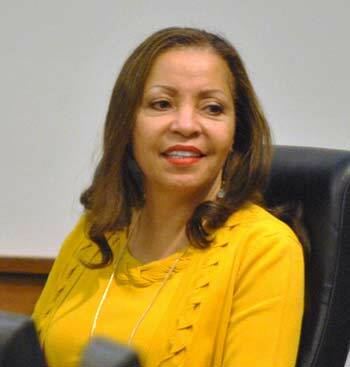 The Washtenaw County department that Trenda Rusher supervises is undergoing transition, and not just because the long-time workforce development manager is retiring. At Monday’s annual joint meeting of the two boards that oversee the county’s Employment Training & Community Services (ETCS) department, Rusher spoke of several other changes – from the dramatic growth of revenues, thanks to federal stimulus dollars, to the equally dramatic increase in demand for services, due to Michigan’s economic plight and the implosion of the auto industry. And as Rusher departs – after nearly three decades with the county, she’s heading to Washington, D.C. to start her own consulting business and to be near her twin daughters – the new county administrator will be looking at possibly reorganizing the operations that serve as a conduit for millions of federal, state and local dollars. Washtenaw County Board of Commissioners Administrative Briefing (April 8, 2009): Hefty funding from the federal stimulus package means as many as 1,000 local youth will get summer jobs and hundreds of adults will get job training and employment services, county commissioners were told at their Wednesday administrative briefing. Of the $3.6 million awarded to Washtenaw County, $1.95 million will be used to fund jobs for low-income youth between the ages of 14 to 24. 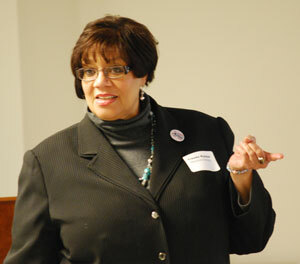 The county now needs to find employers with suitable job openings, said Verna McDaniel, deputy county administrator. It was a surprisingly loud whistle from Eileen Spring, president of Food Gatherers, that called the crowd to order. 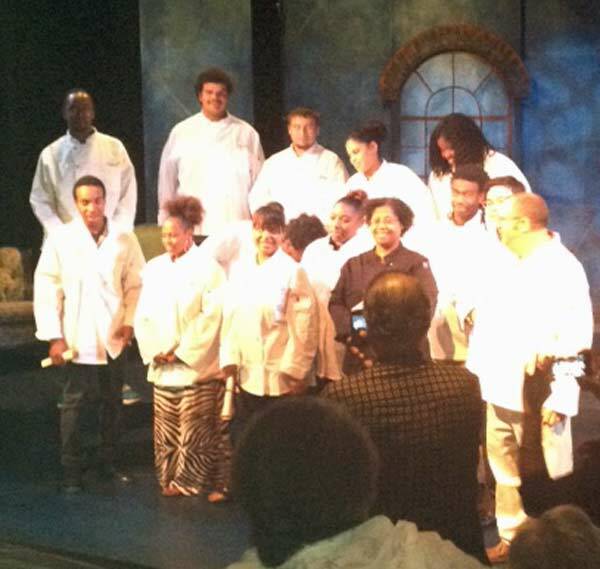 The assembled graduates, friends and family were at the Delonis Center today to celebrate their completion of the Culinary Arts Training Class. And the pre-graduation mood was certainly lively and celebratory enough to require whistling to order.